Valencia – Villarreal Prediction (2019-04-18). Eintracht Frankfurt – Benfica Prediction (2019-04-18). Chelsea – Slavia Prague Prediction (2019-04-18). FC Porto – Liverpool Prediction (2019-04-17). Manchester City – Tottenham Prediction (2019-04-17). Juventus – Ajax Prediction (2019-04-16). Barcelona – Manchester Utd Prediction (2019-04-16). Watford – Arsenal Prediction (2019-04-15). Leganes – Real Madrid Prediction (2019-04-15). Atalanta – Empoli Prediction (2019-04-15). Frosinone – Inter Prediction (2019-04-14). Chievo – Napoli Prediction (2019-04-14). 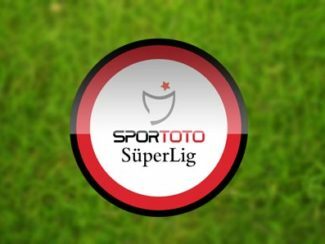 Fenerbahce – Galatasaray Prediction (2019-04-14). St Etienne – Bordeaux Prediction (2019-04-14). Dusseldorf – Bayern Munich Prediction (2019-04-14). Crystal Palace – Manchester City Prediction (2019-04-14). Montpellier – Toulouse Prediction (2019-04-14). Rennes – Nice Prediction (2019-04-14). Lille – Paris SG Prediction (2019-04-14). Liverpool – Chelsea Prediction (2019-04-14).